Since graduating from London’s Guildhall School of Music and Drama, Janet has worked professionally as a solo artist and consort singer. Her musical versatility boasts many genres and musical styles and she has worked closely with Norfolk-based composer, Patrick Hawes, on many of his original works. Steve studied organ and piano from an early age, playing the organ regularly at St Francis and St Andrew’s churches in Coulsdon. After gaining an engineering degree from Salford University he moved to Newbury to work for Vodafone. 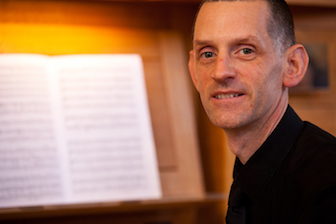 In 1991 Steve was appointed as accompanist of the Cromwell Singers and later became their Musical Director. The Cecilia Consort is an auditioned chamber choir of some 40 local singing enthusiasts with about ten voices to each part. All members of the choir have a strong enough musical background that each is able to work on music on their own before the start of rehearsals. 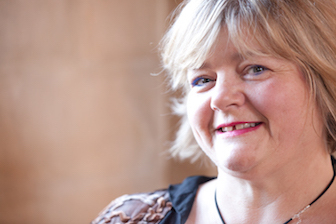 This means that, when rehearsals start four weeks before each concert, Musical Director Janet Coxwell is able to concentrate on fine-tuning the pieces to bring out the very best in the music and produce a performance to entrance the audience. Rehearsals are intensive but great fun, interspersed with stories from Janet’s many musical experiences around the world. Some members have sung with the choir since its inception and many have notched up ten years or more, so the choir has a real family feel. If you have enjoyed a Cecilia Consort concert and love singing the kinds of music in our repertoire, why not consider joining us? We rehearse at St John the Evangelist Church, Newbury, 7.30 - 10.00pm on Thursday and Friday evenings for the four weeks before each concert. For more information, please contact our Chairman, Lucy Makin at makin_lucy@hotmail.com or 01488 608287. All photos on this page are by kind permission from Simon Crompton-Reid.